I was not born a Republican. I chose to become one. The number one influence on party affiliation is family. In particular, people tend to adopt the political party of their parents. That factor has more influence on party affiliation than any other. My mother is a Democrat. My father was the quintessential "yellow dog Democrat." I remember sitting at the dinner table during which my father pontificated on politics.. He would always rail about how horrible Democratic elected officials were, people like then Indiana Senators Birch Bayh and Vance Hartke. He, no surprise, didn't like the Democratic candidate for president in 1972, Senator George McGovern. One day I asked him if he disliked Democrats so much, why he was not a Republican. I remember his response like it was yesterday: "The Republican Party is not for the working man." My father passed away when I was 14 and did not live to see to see me become a Republican. It was in my late teens that I began to question the wisdom of my parents support of the Democratic Party. During the late 1970s, as I was transforming from boy to adult man, the Republican Party at was also going through a transformation. A conservative movement was gathering steam. It was a movement based on the belief that Americans can create a better future if the federal government is limited to its constitutional functions and business owners are freed from the shackles of government regulation. It placed an emphasis on the family unit as the critical building block of society. It was aspirational but had as its foundation the ideas of intellectuals in the party, people like the late Congressman Jack Kemp, economist Milton Freedman, constitutional scholar Robert Bork, and the editor of the National Review William F. Buckley, Jr. There was no hating people because of their religious belief, their ethnic background or political positions. Democrats were not reviled but rather viewed as last souls who were simply wrong on the issues. If ever questioned, conservative intellectuals of the day could provide a laundry list as to exactly why they were right and the liberals were wrong. All this was done without engaging in school yard name calling or demonizing the opponents as evil. Of course, the ultimate triumph of the conservative movement was the election of Ronald Reagan in 1980. Reagan gave conservativism a face as well as one of the best communicators in political history. I am proud to say that my very first presidential vote was for Reagan, a vote in the 1980 Indiana GOP primary. Of course, the Gipper went on to win in a landslide that November, an achievement accomplished while running unapologetically on the ideas deeply rooted in the conservative movement of which I had become a member. Over the years, Republicans often fell short of the conservative ideals embodied in the conservative movement Reagan initially led. Sometimes too the ideas of that movement fell short as well. The conservative idea of enterprise zones flopped. Likewise, privatization mostly failed, chiefly due to political cronyism driving the process instead of market forces. It doesn't take much to find other examples. Nonetheless, the Republicans Party, post-Reagan, was extraordinarily successful at the ballot box. Democrats were ousted from power in the Senate in 1980, after nearly 30 years of being in the majority. Fourteen years later, Republicans won a majority in the House for the first time in 40 plus years. While the GOP's success stalled during the Clinton years, Republicans have enjoyed unprecedented success since Barack Obama's election in 2008. By 2014, the GOP had a record number of governors and majorities in an unprecedented number of state legislative chambers. The Republicans also had a majority in the Senate and a majority the size of which hadn't been matched in 80 years in the U.S. House. The only thing the Republicans failed to win since 2004 is the White House. The GOP was poised to do exactly that in 2016, having the opportunity to run against an extraordinarily unpopular Democratic nominee, Hillary Clinton. The victor would also tip the balance of the Supreme Court, having the opportunity to appoint as many as three new justices. But by 2016, things had changed. The aforementioned conservative intellectuals - Kemp, Freedman, Bork and Buckley - all had passed away long ago. So too had Ronald Reagan. Those great minds which led the movement were replaced with television and radio talk show hosts. Detailed position papers on the issues were replaced with sound-bites and talking points. Those conservative media types told us it wasn't enough to think our liberal opponents were wrong on the issues, we also had to hate them. Into this intellectual vacuum stepped Donald Trump, a life-long liberal running for the nomination of the conservative Republican party. Spewing hate and vitriol from the podium, Trump echoed the talk show conservative media's denigration of political discourse by engaging in school yard name-calling. But that wasn't all. Trump mocked a reporter's disability, made a racist comment about a judge presiding over the fraud case against "Trump University," and praised brutal dictators. Indeed reporters in general became a Trump target. Any truthful news report showing the New York businessman in a negative light, stories such as his sexist treatment of women, his failing to follow through with donations promised to charities, his repeated failure to pay vendors, employees and lenders what he owed them, were dismissed as just being examples of media bias. It didn't matter to Trumpites that the stories were true. But it was not just the lack of substance, Trump attacked conservative values across the board. He advocated that the federal government be more powerful and demonstrated through he recognized no constitutional limits on the power of the President. He advocated the end to free trade. Indeed, Trump's suggestion for a trade war would deal American consumers a huge blow and will undoubtedly trigger a recession if not a depression. Trump even attacked the First Amendment, suggesting that Americans have too much freedom to criticize public figures. Of course, Trump had been for years filing SLAPP lawsuits to silence his own critics. But intellectual consistency to Trump mattered not. Trump reversed his position on taxes and the minimum wage. He changed his position on banning Muslims from entering the country. He reversed his position on Planned Parenthood a documented seven times. Throughout the campaign, Trump demonstrated beyond a shadow of a doubt he has absolutely no core political principles and will change his position at a whim and then deny his former position ever existed. Even Trump's claim of being a successful businessman is belied by four bankruptcies, numerous failed businesses, and a trail of unpaid bills. Rather, examined more closely, Trump's entire career is one of being a con man, a grifter, the consummate huckster, a person always taking risks with other people's money, rarely his own. If Trump would not have inherited $100 million from his father, he likely would have had a Kevin Trudeau type infomercial career, hustling the modern version of snake oil. Not to insult Mr. Trudeau. Trudeau is plenty smart while Trump clearly is not. This week, Trump was officially nominated by the GOP national convention being held in Cleveland. I am told that now I must give up everything I have ever believed in as a card-carrying conservative Republican and the future of my party to support the election of a life-long liberal Democrat to the White House, someone who is a serial womanizer, someone who hates people based on their religion and/or ethnicity, someone so lacks even a modicum of talent and ability, or the temperament or maturity, needed for the job as President of the United States. I am told that I need to put aside my concerns for the future of this country including the possibility of the initiation of nuclear war due to some petty Trump dispute with a foreign leader all because, well, Hillary will be worse. Forget the illogic of attacking Hillary Clinton's dishonesty and immorality with the most dishonest and immoral candidate we could find wearing a Republican jersey. I am told that we Republicans should all get behind Trump because it is his party now. Wrong. It is not Trump's party. Those of us who toiled in the trenches for conservative causes were doing so long before Trump began pretending to be a Republican in order to run for the GOP nomination. We will be fighting for those causes long after Trump leaves the stage. It is our party, not Trump's. To support Trump would be a betrayal of the legacy of Ronald Reagan and the conservatives who fought the political battles over the past four decades. I am not going to betray those conservative principles. My Republican Party needs to be about limited government, not unlimited executive power. Republicans need to understand and respect the Constitution, not dismiss the document out of hand. The Republican Party needs to welcome all people to the conservative cause, regardless of race, religion or ethnic background. Trump fails to live up to the ideals of the Republican Party on every score. Unlike people like George Will though, I will not walk away from my party because it is temporarily led by someone who makes a mockery of everything I believe Republicans should represent. It is my party, the party I chose, after all. Come November 9th, the fight begins for the soul of the Republican Party. You will be able to find me on the front lines of that battle. Until the Republican Party gives up an interventionist foreign policy, including cheerleading the Likud Party and giving billions to Israel, it will be a zombie party, pretending to be about small government while continuing the fund the biggest military empire in the world. I agree with everything you said in this great essay except funding the military-industrial complex is not a small betrayal of conservative principles. It is the MAIN betrayal of them, and it is the only thing Republicans, Establishment and not, rally to nearly unanimously. In a previous incarnation I think you, like Will, might have been a Tory. But, even if you were a Whig, hows it feeling to be an increasing part of ancient history? I don't know, Leon, how does it feel to be on the wrong side of history and on the losing side come November 8th? And it was an election the GOP could have easily won with virtually any other candidate. Agreed, the Republican Party needs to be about Constitutionally reconciled / limited government; in real, net measurable terms, familiar to citizens; vs smooth talking wonks & lobbyists. Disagree on trade- Trump's channeling Pat Buchanan who was right about NAFTA & equitable trade. Whether anyone's noticed; we're in a trade war (!!!) & negotiating fair trade makes economic sense; vs those in public sector enriching themselves by auctioning America's sovereignty & best interests. Some tastes we viscerally spit out; reflexes we can't help. For some, Trump's an acquired taste; an observation unintended as political nuance. Trump's wasn't my first choice but Hillary is no choice at all; other than toxic statism. Paul, you don't suffer a sincerity problem; which is why those who read this blog respect your opinion. If you can't do it- we get it. At this point however, we're not making a selection for the future of the party- we're making one to best serve the ongoing interests of the country. I disagree that Trump is an acquired taste. He is someone who is only palatable for people willing to ignore how he has lived his life and virtually everything he's said and done. Trumpites are willing to overlook anything seemingly. Trump joked that he could kill someone and his fans would give him a pass. It is true. And we definitely disagree on free trade. If you want to pay much higher prices for goods, then let's start a trade war. Everyone is a consumer while only a small segment is affected negatively by free trade. If you look at economics through a macro perspective, as virtually every economist does, you'll conclude that free trade is a very good thing. * He wants to stop me from buying cheaper goods via tariffs, thereby reducing the comfort of my family. * He wants to chill my free speech by allowing more defamation lawsuits. * He cares not if SS & Medicare bankrupt the govt; he says he won't reform them. * He wants to disarm civilians by prohibiting sales of semi-auto, magazine-fed rifles (see his book, _The America We Deserve_). * He supported the TARP -- a $700 billion bailout to the banks that should've been allowed to fail -- as he made clear in his 09/26/2008 interview with Neil Cavuto. * He wants to increase the military's budget when we have a debt-to-GDP ratio of > 100%. The ONLY positive I see in Trump is that he SEEMS less willing to engage in overseas wars & SEEMS to believe John Quincy Adam's maxim that America "goes not abroad in search of monsters to destroy." I cannot reasonably claim that this one POTENTIAL positive, though, outweighs his numerous negatives, particularly when I can't trust him: he's betrayed creditors and spouses...why should he have any problem betraying voters? Some of the stories you base your opinion on were misinterpreted by the Marxist media to discredit him. He also has said he is for free trade with sensible deals. You do have to actually listen to him during long interviews rather than soundbites. He may not be pretty, mangles the language, but if you want a fancy pants bonvivant eastcoast socialist/communist and more of the last 8 years well Hillary is your continuation of that or worse. You have to give him credit for exposing them all for what they really are and how they are scrambling since being exposed to the light of day. That in itself is in the plus column. The Democrats do not care at all about the criminal activities of Hillary and all the years of thievery nor most of all her years as Sec. of State which has made a mess of world affairs-they only care about overseeing the destruction of traditional America and bringing in their Marxist utopian visions which do not work. The hell with America and on with Hillary who will march them to victory aided by the useful idiots on display this week. So go ahead Paul- nit pick the one brave man who may be flawed but risked all to stop what is happening. He will go in and clean house. It is about time. What price will the country pay for a Trump campaign and administration controlled by Paul Manafort? Check out the history on this guy for his arrangements with Vladimir Putin and other Russian oligarchs. For years, he has made millions in ventures with authoritarian governments including running the campaign of Russian backed Victor Yanukovych who was deposed by the Ukrainians during the Orange Revolution. His influence is already seen on a less informed Trump who has diminished NATO and backed Brexit, without understanding that the Russians have financed groups in each country, within the European Union, to also promote exiting. Putin is bent upon restoring the political and economic influence of the former USSR, relieving his borders of the protection of NATO and extending his sphere of economic interests. As Trump deals with Putin under his "no conditions" negotiations, longstanding government policy would be ignored in favor of business ventures enabling the extraction of billions in wealth which is of a mutual interest. With the hacking and publishing of DNC material, we welcome the KGB to the 2016 race. We look forward to your fomenting of civil unrest and your eyes and ears inside the workings of the White House. You are either for free trade or your not. Tariffs on foreign goods would hurt American citizens. When other countries put tariffs on American goods it just hurts the citizens of those countries. It's Economics 101. I'm a conservative in terms of limited government. Things like abortion, gay marriage, etc. really have no place in government issues. Abortion maybe, but only if one believes "life" starts at conception. I like Trump because at least he makes statements like building a secure border, and imposing tariffs on goods made overseas free trade. People claiming that tariffs will hurt the US can't see how so called "free trade" of today has already hurt the US. In my view, the only way to have real free trade is to only trade with countries who are on the same playing field as the US: Minimum wages, housing vouchers that can be used for basic housing (not dorms where single adults are required to live and work in factories like in China) for the lower income, a basic welfare system that includes the same food stamp and WIC type benefits the US offers, etc.. Trading with countries that give none of that to their people, that allow companies to work the lower classes to near, or actual, death with little to no compensation isn't "free trade." Current models of free trade only take more simple manufacturing jobs from the US, it is that simple. I'm sure many people in areas like Connersville would be happy to have 500-1,000 jobs paying $10/hour to make basic household goods. If we supported the old concept of a two parent household, such a household could at least have a combined income of $20/hour. If government stopped subsidizing housing and allow housing prices to reflect the economic reality non-union wages, such a combined income would be plenty. Instead, so long as it is cheaper to pay almost nothing for overseas "labor" and ship the goods to the US for sale, nothing will change. Our lower class will continue to expand because government wants the status quo when it comes to housing, transportation, and healthcare costs. What you argue is tantamount to autarky: policymakers will ALWAYS claim that so-&-so other nation's worker or environmental protections are not up to our own. Consequently, no free trade occurs. This is all the more likely because the benefits of free trade are spread over the entire populace fairly evenly (i.e. everyone gets to buy cheaper cellphones because of free trade) while the burdens fall on a discrete group of domestic companies. What's more, everybody ignores a great benefit of free trade: peace. Canada is one of our largest trading partners; it has been 200 years or so since we fought them (the War of 1812). China would be loathe to engage in a military conflict with the USA not just because of nuclear annihilation but also because we are a top customer of its goods. Bastiat's maxim is correct: When goods don’t cross borders, soldiers will. Yes, there are benefits in listening to your parents. Trump is squeaky clean from laundering kopecks but he still owes Putin and his criminal oligarchs a few more favors. Some business debt is so impossible to restructure that you wind up in someone's pocket and when you find yourself in the White House you have no choice but to place all of your chips on red. Paul & LamLaw: While you make some good points; "free trade" appears to mean different things to different people. Trump's legitimate / reasonable criticism is primarily one of the deals "negotiated" in self service to sellout specialists posing as our representatives; deals that are giveaways not negotiations. It's easy to give away the peoples' money (OPM)- negotiating requires skill acting in the national interest. Fifty-one percent state ownership, state sponsored product defects (dangers), price dumping & IP pilfering are sufficient evidence that we're in a trade war; acts outside any free market scope of good faith. Insistence on equity isn't trade war saber rattling- it's sensible negotiation. All are flawed; have inconsistencies & are hypocrites in one way or another. We'll never vote on a messiah- He'll vote on us... It's not reasonable to ask someone to get beyond their dislike of someone- I get that, it's visceral. Though there's arguably a much better choice than toxic Hillary. TARP never should've happened; but somehow made to order (S on S) in the failed wake of Dodd / Frank, unwanted or non-investment grade derivatives / PDO shoved on the balance sheets of banks by Feds who wink & nod said they wouldn't affect reserves & ratios until they did- hello 2008 credit constriction & loan calls... Don Trump Jr. mentioned Dodd / Frank twice in his convention speech- Americans need repeal & investigation of the D/F BS. Defamation suits are perhaps a tac toward product liability for those selling themselves as "journalists" when too often they're merchants of mischaracterization. Statist anti-economic programs (SS, et al) are monsters of existential threat that must be dealt with if the republic is to survive. While I haven't read that particular Trump tome (America We Deserve); it appears the magazine component is twisted logic designed to confuse those who don't know how guns work; magazine feed being an arbitrary distraction from lethality of intent. Paul, I remember your father and agree with him. The Republican party has never been for the working man. The Democratic Party isn't always either but the Republican party never is. I am one of those "misguided liberals." It is interesting that we are so far apart politically. However, I respect your intellect and am glad you express your views. I have worked in criminal law for close to thirty years. 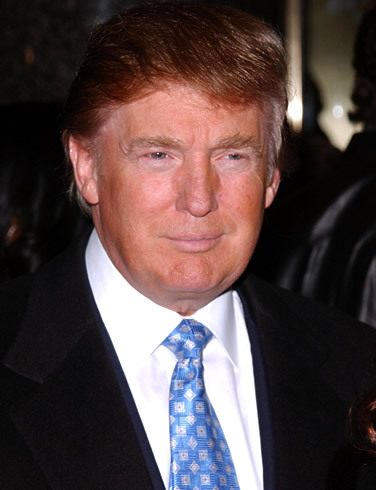 My take on Trump is not that he is a liberal or a conservative. Instead he has a criminal orientation. He lies constantly and thinks intimidation is an effective strategy to get what he wants. I have met many people like Trump over the years. Good to see you are still blogging.